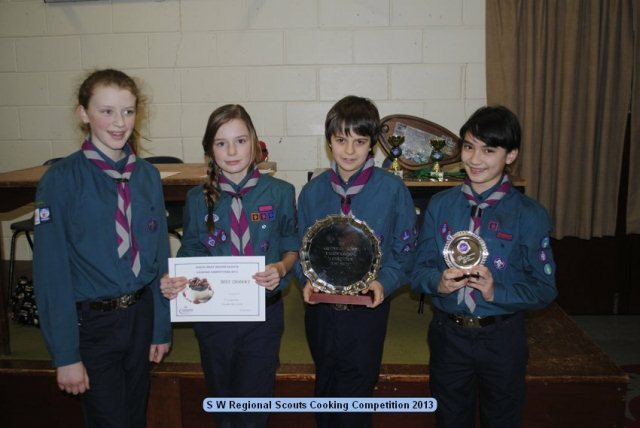 After winning the District competition and then coming in second place in the County Finals, the Scout cooking team have won 3rd place in the Regional Finals and also won the prize for the best dessert. 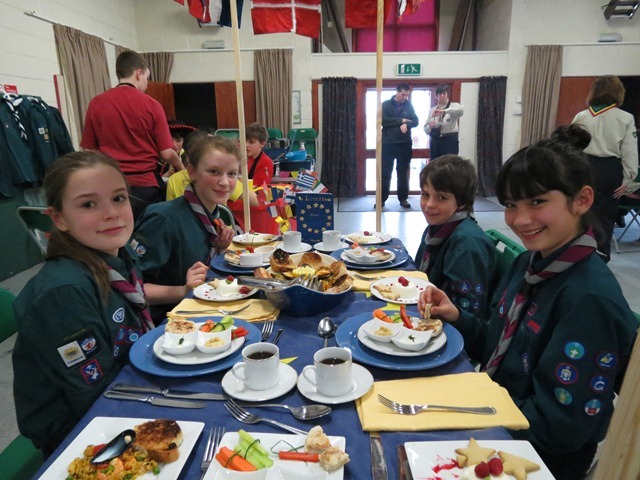 Congratulations to Harry, Jasmine, Alice & Ellie who produced a European-themed three-course meal for 4, cooked on a double-ring gas burner and a budget of £17. A starter of Hummus and vegetable sticks was followed by a Paella and then a Pannacotta dessert. 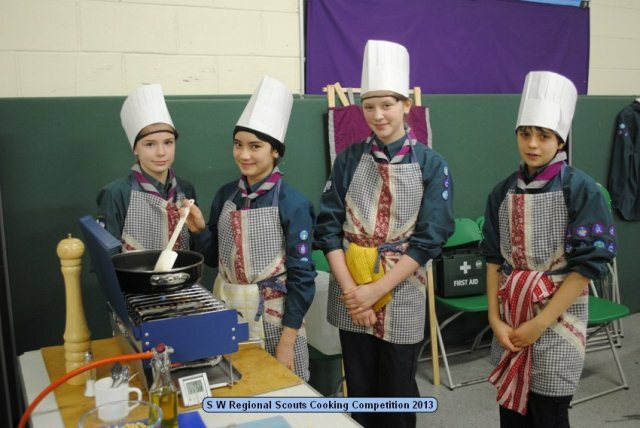 13 teams from 6 County’s took part in the competition in Shurdington near Cheltenham with judges from local restaurants and hotels. Robin Dudley, head chef from the Greenaway Hotel & Spa, commented that he would happily serve their Pannacotta in his Restaurant!